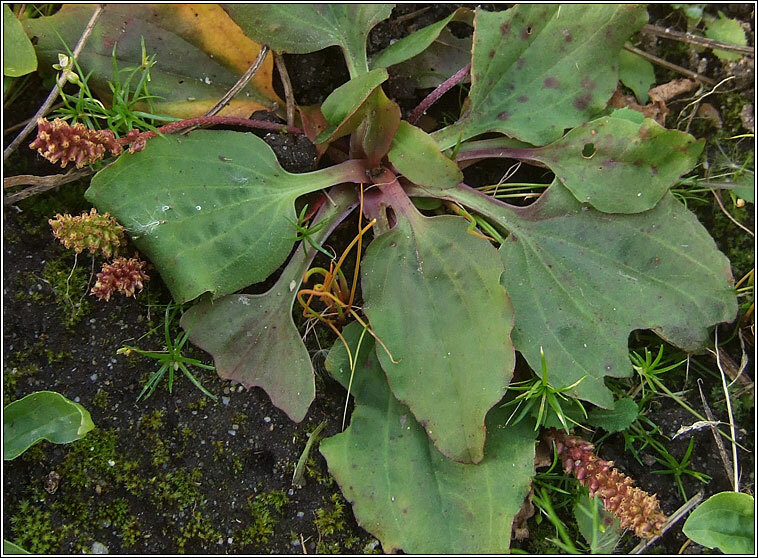 The flower spike is slightly shorter than the stalk, flowers have lilac anthers. Basal rosette of broadly oval, hairless leaves with 5-9 veins and a broad-winged leaf stalk. 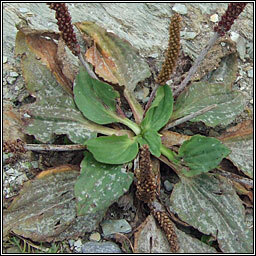 Similar: Hoary Plantain, P. media. Densely hairy grey-green leaves. Pink-purple stamens, whitish anthers.